A local restaurant that opened its doors on Front Beach Road in Panama City Beach in November 2013, Diego’s Burrito Factory has officially opened up its east end location at 6209 Sunset Drive, across from Winn-Dixie on Thomas Drive, on Friday, August 18, 2017. The restaurant welcomed close friends and family for a Soft Opening the night before. 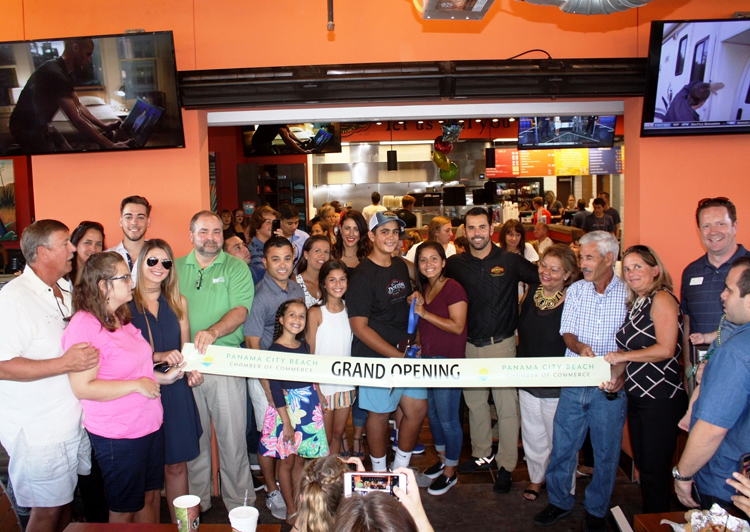 Started by Omar Taleb along with family members Silvino and Ismael Barragan, Diego’s began because the three partners wanted to bring something different to Panama City Beach that had not been done before—authentic Mexican food with a “Baja California Fresh” concept. Diego’s quickly became a local favorite for its authentic Mexican food, made-from-scratch margaritas, speedy service, and family-friendly atmosphere. Though it’s hard to imagine Diego’s without all of the popularity it has today, it did not start off this way. “We had a few hard months of trying to build our business,” General Manager and Partner Omar Taleb said. “But once word caught on, it quickly grew popular with the locals,” he added—and quickly is an understatement. In May 2016, Diego’s opened its second location in Niceville, FL, and, by 2017, the partners were gearing up to open the third location off of Thomas Drive. “Our regulars from the east end of the beach and over the bridge kept asking us to open a location closer to them, so we decided to make the leap and began looking for the best place,” Omar said. With a lot open off of Thomas Drive, the partners knew that it was the perfect location. It was central for their “town” and east end regulars, and they were honored to be able to serve their new close neighbors on the Navy Base, who frequently visited their Front Beach location. So the partners decided it was best to build the new restaurant from the ground up. With double the space, the east end location has a 20-top bar that wraps around from the inside to the outside, and also has large screen TV’s throughout the restaurant. “We wanted to have more of a sports-bar atmosphere where all family is welcome,” Omar said. Accommodating packages such as College, NFL, and UFC, Diego’s East will serve as a spot for locals to enjoy sports with family, friends, and good food.